I love these trousers, they are so comfortable and as I do love a good paisley print they are the perfect combination. I wore them on a night out with my leather biker jacket and a wide brimmed hat and have worn them just casually in the day with my plain white t shirt and black loafers. They're really versatile and now i'm having to stop myself buying the matching jacket too! The best piece of news I have to share with you guys is I have been paid! Actual full time money for pretty much the first time in my life and i've been shopping. I'm gonna do a little haul post of all the new things i've bought and am really excited to have some new things for outfit posts this week! I was absolutely gutted not to be able to attend the Bristol Craft Meet Up this weekend, I was all set and ready to go then my boyfriend surprised me with a trip to Bath Spa (definitely not complaining!) so I couldn't make it but the photos look great and it looks like everyone had a great time! 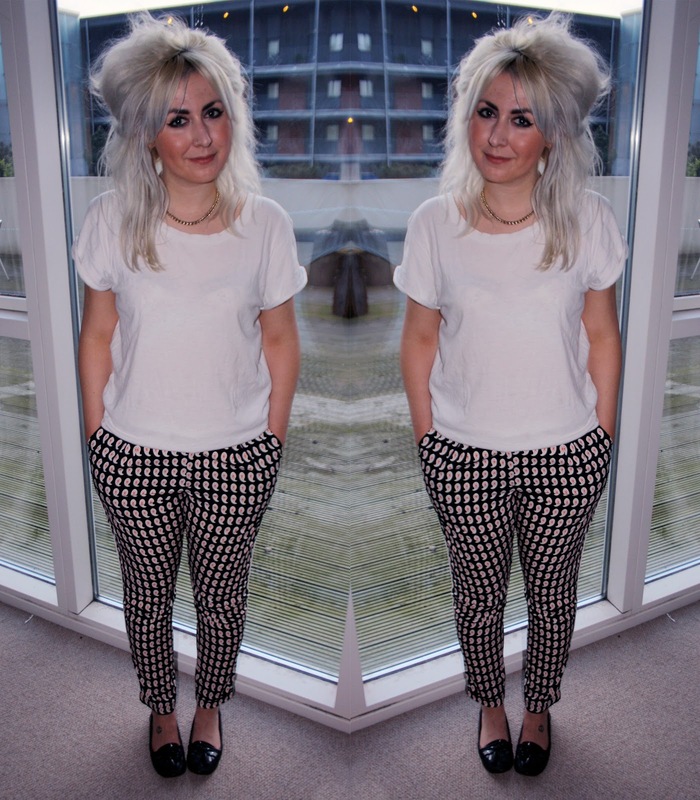 You can't beat a good pair of printed trousers, I was uhm-ing and ah-ing over this exact pair for weeks but am gutted they're not online anymore. I'll definitely be keeping my fingers crossed that they have some instore. Love your trousers! Looks perfect with the top! Casual and smart at the same time! Congratulations on your first payday- isn't it the best feeling?! LOVE these trousers too, such a cute print!